At Card Not Present® we understand that content is king and your customers crave the creative insights and information that will help drive their businesses forward. Partner with us on a research project and we will help you develop your questions, set up the back-end functionality, promote it to our readership, compile all the data and pull out the key takeaways. 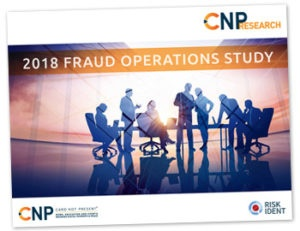 A Partnership with CNP will differentiate you and show that you are a true thought leader in the industry with high quality, non-biased results – your customers will be compelled to view. Contact John Bomier at (203) 840-5451 if you’re interested in partnering with us on a research project.